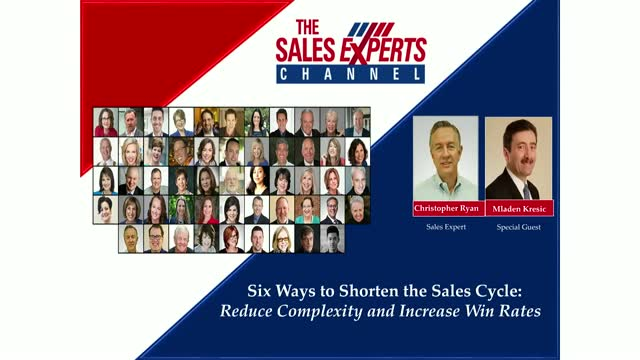 Due to the expanding involvement of multiple people (and functions) in the decision process, sales cycles are getting longer and the entire process is becoming more complex. As a result, customers prefer not to change and to remain with the status quo. This leads to a lot of frustration for sellers and a great loss of productivity. 3. Sell solutions that impact business. This training event is not based on theory, but rather on the specific strategies and tactics developed by top international negotiation expert Mladen Kresic. Mladen has taught and consulted with many leading corporations to help them close more than $2 Billion in closed deals. Several examples of successful negotiations will be provided. Simplify the process and manage internal expectations.